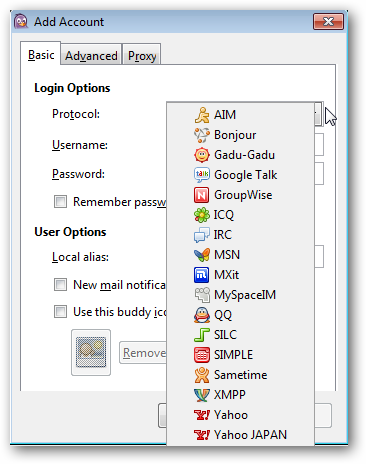 If you find chatting with multiple chat clients troublesome, then Pidgin is the tool for you. In today’s article, we’ll show you how to connect to popular chat networks, encrypt your conversations, and render mathematical formula in Pidgin. 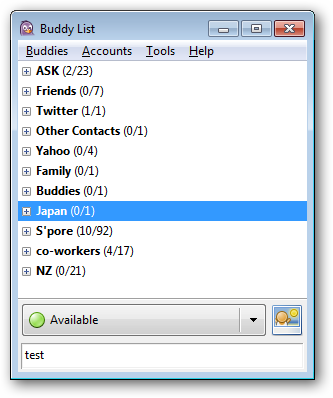 Pidgin is a chat program that lets you use multiple chat networks simultaneously. 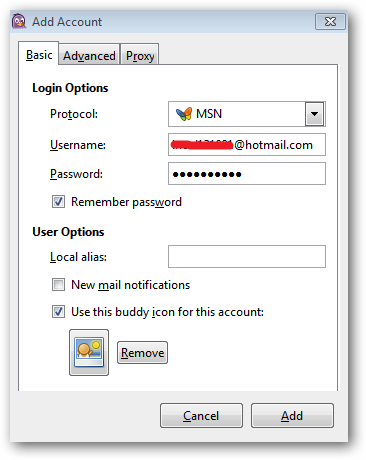 This means that you can be chatting with friends on MSN, talking to a friend on Google Talk, and sitting in a Yahoo chat room all at the same time. 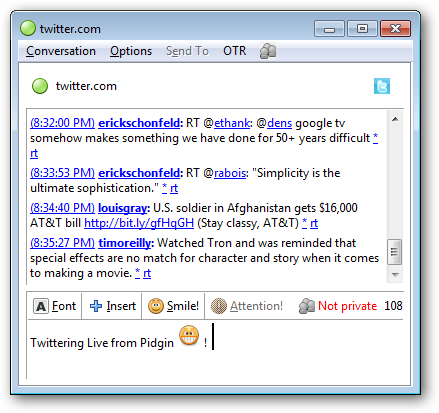 Pidgin runs on Windows, Linux, and other Unix operating systems. 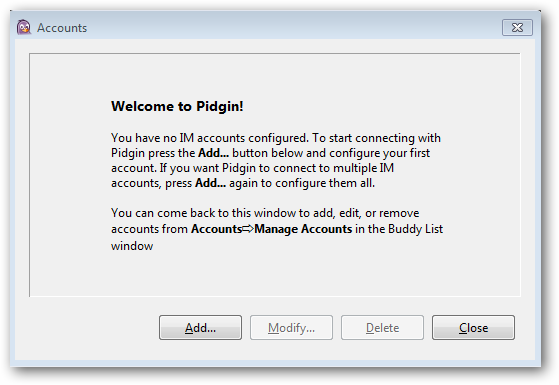 So no matter what platform you are on, you can use Pidgin as your chat client. 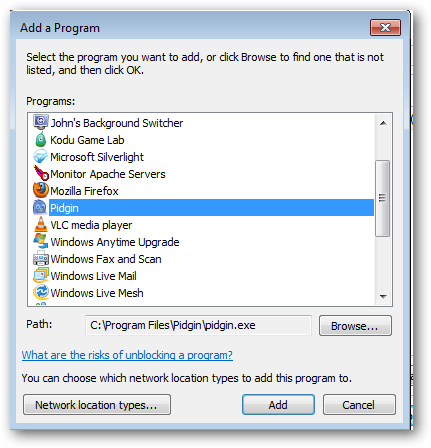 Install Pidgin using the right installer from their website. You will see the welcome screen when the installation finishes where you can add your first chat network by clicking the ‘Add’ button. 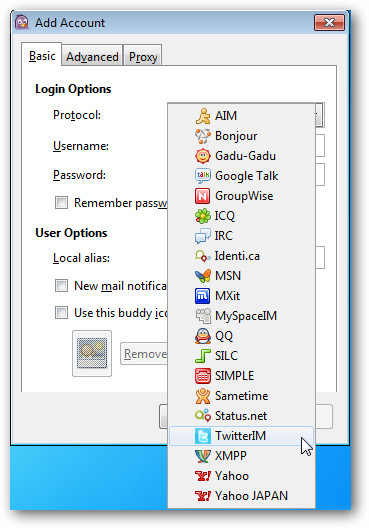 Pidgin supports quite a number of chat networks. 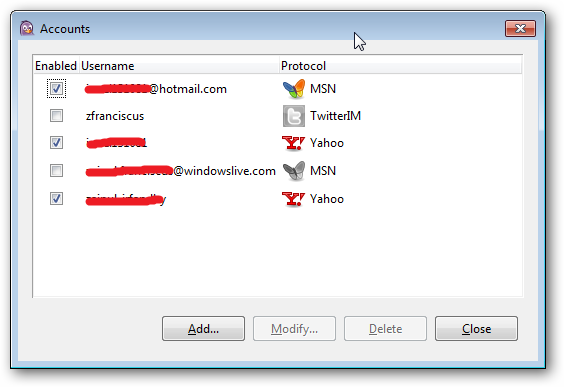 Select the messaging client that you want to add and specify your user name and password. 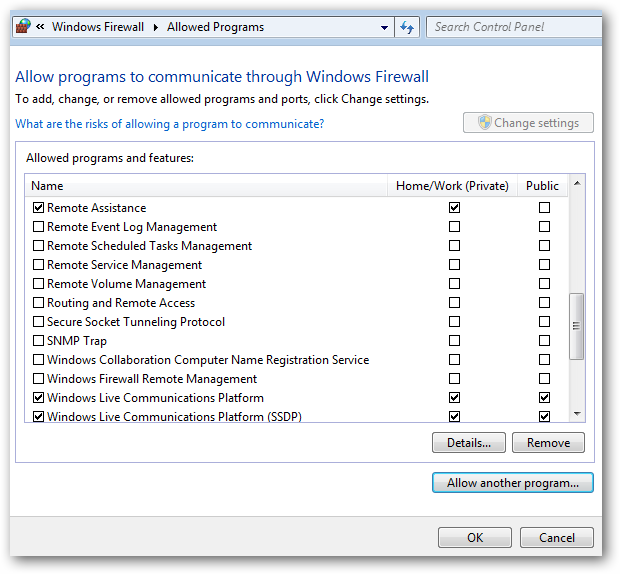 If you’re having any problems connecting to your chat networks, your Windows firewall is one of the places that you may want to look into. Note: this generally isn’t necessary. Make sure that you allow Pidgin to communicate through the Firewall. 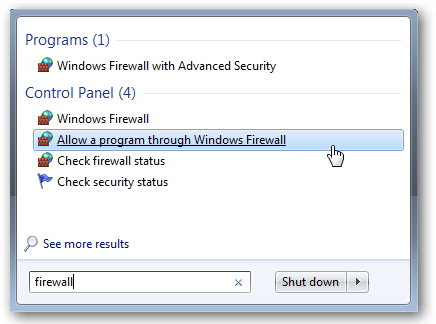 If not, add Pidgin into the Firewall ‘Allowed programs and features’ list by clicking the ‘Allow another program’ button. 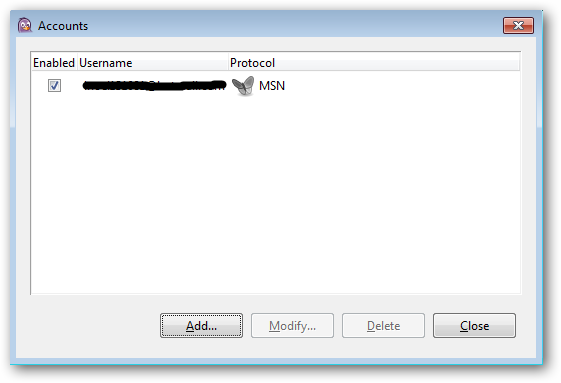 Select Pidgin from the program list and click the ‘Add’ button. Now you’re all set to chat with your buddies. 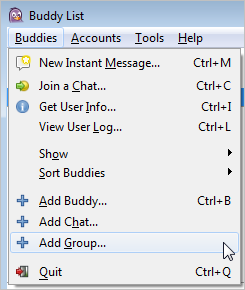 You can add multiple chat networks in Pidgin from the ‘Manage Accounts’ menu. You can see the chat accounts that you have added in this screen. 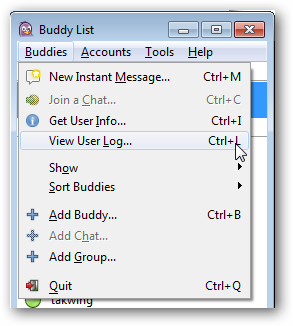 Click the ‘Add’ button to add more chat networks in Pidgin. You should see all your existing chat groups in Pidgin. You can rearrange these groups by adding new groups. Give a suitable name for your chat group. Make sure you have selected the ‘Empty Groups’ option to view your newly created group. 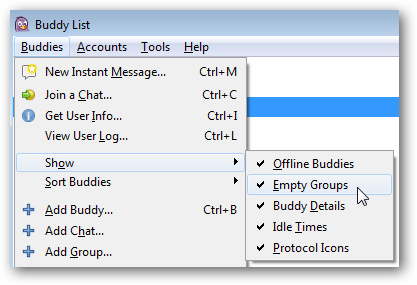 Select your buddies and move them to the suitable group to organize your buddy list. You can also keep in touch with your friends in Facebook or Twitter by installing Pidgin’s Microblogging Plugin. If you are using Ubuntu, you can install the Twitter plugin through the Ubuntu Software Center. If you’re using Windows, you need to install the plugin by downloading the installer from their website. You can check that you have installed plugins successfully by checking that the plugin is listed under the Plugin screen. You should be able to add your Twitter account after you installed the plugin from the ‘Manage Accounts’ menu. Click the ‘Add’ button to add your Twitter account. Choose ‘Twitter’ from the ‘Protocol’ list. 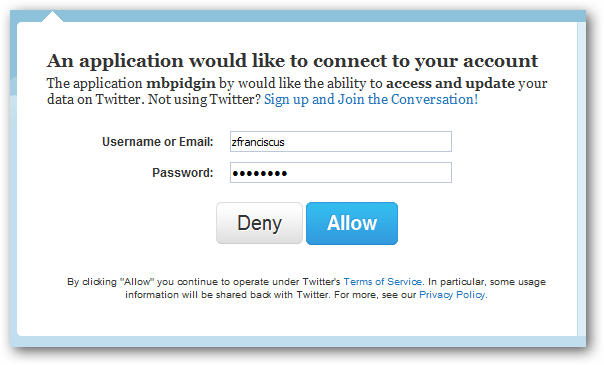 You will need to authorize Pidgin to connect to your Twitter account. You need to key in the PIN that Twitter generates into your Pidgin. Now you are all set to Tweet from Pidgin. If you are familiar with LaTex, you can use Pidgin to exchange math formula with your buddies by installing the Pidgintex plugin. Simply write ‘$$latex expression$$’ anywhere in a message and an image of the mathematical formula will appear in the message log. 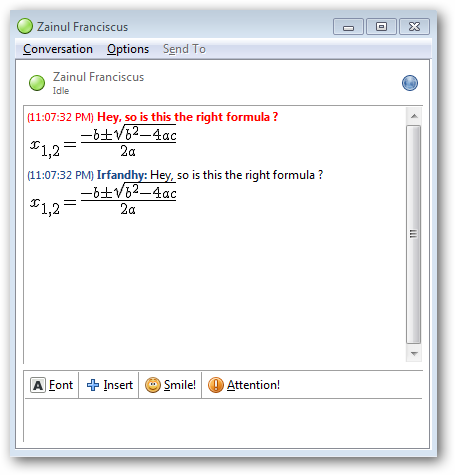 Pidgin also requires Mimetex to render the mathematical formula. Just download the mimetex installer from Pidgintex website, and put it under your ‘C:\Windows’ folder. Remember to put the mimetex.exe in your System Variable path. If you are not familiar with Windows’ System Variable, you can read our tutorial on sysadmin geek about modifying System Variable. Pidgin stores your conversation logs just in case you need to review what your buddies told you. 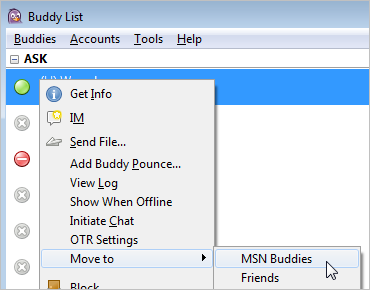 Enter your buddy name in the ‘Name’ field to view your chat log with him or her. Pidgin will show you all the conversations that you have had with your buddy. Unfortunately, Pidgin only renders the math formula as a LaTex expression in the log. 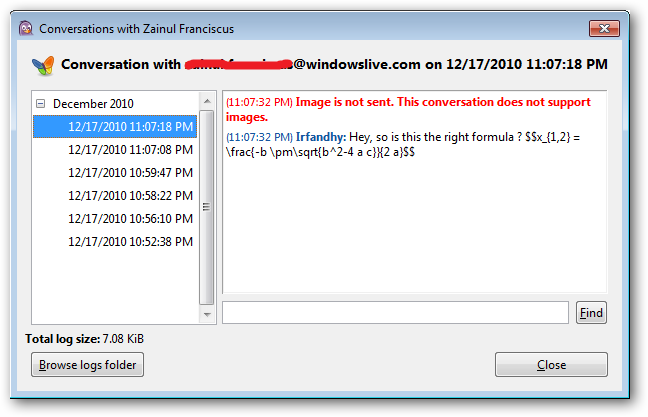 You can even encrypt your conversations to secure your conversation with your buddies. 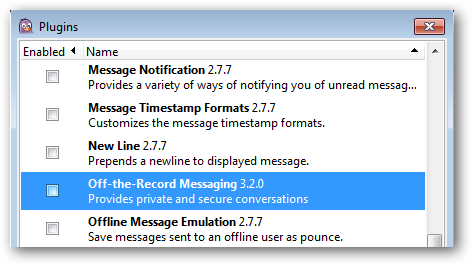 Pidgin has a number of encryption tools available, but we use ‘Off-the-Record Messaging (OTR)’ Plugin the most. After you installed the plugin, you need to enable it from the Plugin screen. You will see the OTR button in your chat screen to initiate a secure chat channel. 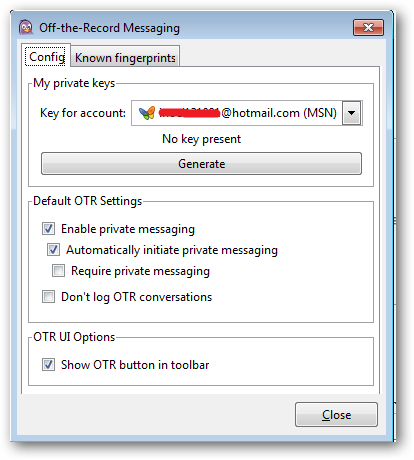 OTR uses a public-private key encryption to encrypt your conversation. You will need to generate a private key by clicking the ‘Generate’ button from the OTR screen before you can use OTR to encrypt your conversations. 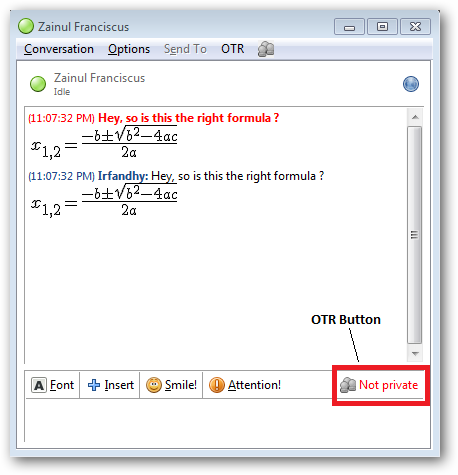 The OTR Plugin creates four privacy levels, and we can enable a private chat by clicking the OTR button. 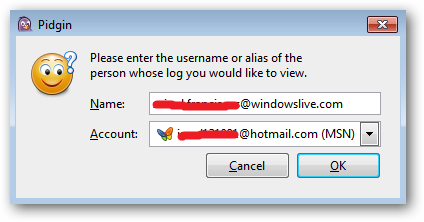 Your private conversation will start in an ‘unverified’ mode until you authenticate your buddies. You can authenticate your buddy by selecting ‘Authenticate Buddy’ from the OTR Menu. There are 3 options to authenticate a buddy : by a question and answer, a shared secret, or by verifying your buddy OTR fingerprint. To authenticate using a question, pick a question whose answer is known only to you and your buddy. Enter the question and the correct answer. Wait for your buddy to enter the answer too. If the answers don’t match, then either your buddy made a mistake typing in the answer, or you may be talking to an impostor. 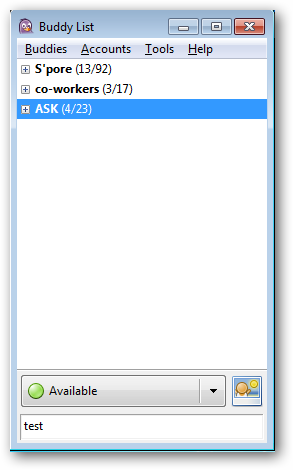 If your buddy answers the question correctly, then the OTR status of your conversation will change to ‘Private’. The next method of authentication is by setting up a shared secret key between you and your buddy. 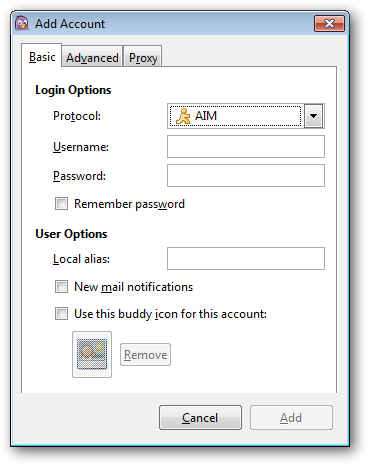 Enter the shared secret into the field provided in the Authenticate Buddy dialog box. Once you enter the secret and hit OK, your buddy will be asked to do exactly the same thing. If you both enter the same text, then OTR will accept that you are really talking to your buddy. Otherwise, OTR reports that authentication has failed. This either means that your buddy made a mistake typing in the text, or it may mean that someone is intercepting your communication. The last method of authentication is by manually matching yours and your buddy OTR fingerprint. You and your buddy will need another secure channel, for example speaking through the phone, to exchange the OTR fingerprints. If the fingerprint matches with the fingerprint that your buddy told you, choose the ‘I have’ option from the drop down list, and then click the ‘Authenticate’ button. Once you do this, the OTR status will change to ‘Private’. Note that you only need to do this once per buddy (or once per fingerprint, if your buddy has more than one fingerprint). OTR will remember which fingerprints you have marked as verified. 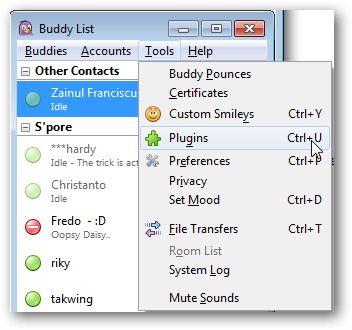 Download other Plugins to add more functionalities to your Pidgin Client. Please feel free to discuss any useful tips on Pidgin with the other fellow readers in the comments section.